Spain’s capital city is often overshadowed by Barcelona and cheap beachside resorts, but with a host of cultural attractions, lively nightlife and fantastic restaurant scene, it’s the ideal destination for a city break. The more time you can dedicate to Madrid the better, but you can still make the most of it even if you’re short on time. Escape the hordes of British tourists and experience one of Spain’s best-kept secrets in just one weekend with this handy guide. You’ve just spent the afternoon at the airport and on a plane, so make Plaza de Santa Ana your first stop to relax and unwind before dinner. There are plenty of bars scattered around the city centre, but if you’re in need of some luxury head to the Melia Hotel and watch the sunset while you sip your drink. Dinner isn’t usually served until around 9pm in Spain, and there are plenty of restaurants to suit any budget. For an authentic taste of the city, walk down Calle Huertas where you’ll find quotes from famous Spanish authors engraved on the street. If you’re not too tired after your food, the city really comes to life after 11pm and there are plenty of pre-party bars to head to before finishing off at the multi-storey, Kapital. There’s lots of sightseeing to be done in Madrid, so fill up with a hearty breakfast at Chocolateria San Gines – the churros is an excellent choice! 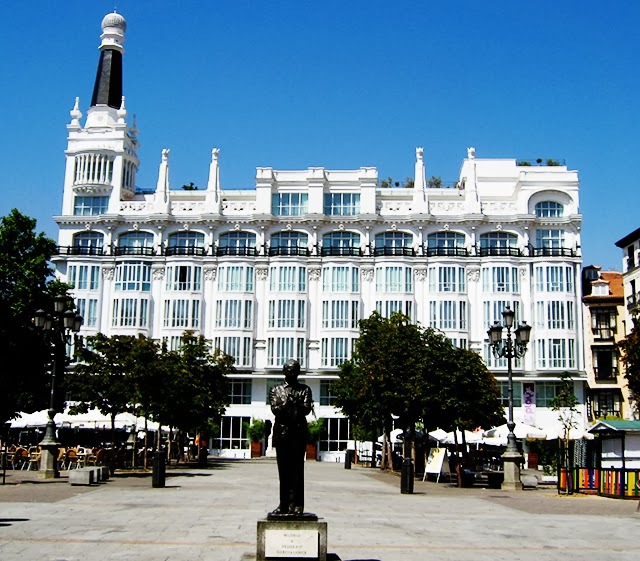 From here you can walk to Plaza Mayor before heading to The Prado, Madrid’s most famous museum. Here you’ll find thousands of works from Spain’s best artists so it’s always a good idea to pick up a guide and plan a route. After lunch in the stylish Chueca neighbourhood, admire some of the city’s famous art deco architecture on the Gran Via and be sure to pay a visit to the Telefonica building – one of the first skyscrapers in Europe. You can also find Spanish retailers Zara and Mango here, as well as the nearby El Corte Ingles where you’ll benefit from a tourist tax discount. Then head back to your Secretescapes hotel and rest up before the evening ahead. Ernest Hemingway was very fond of Madrid, so check out one of his favourite bars at La Venencia before heading to La Buganvilla for the best paella in town. From here you can easily reach the Malasana area where Saturday night fun kicks off at around midnight. Tupperware is always good for drinking and dancing while Casa Patas offers a more traditional nightlife including a midnight flamenco show. One of the highlights of Madrid has to be Picasso's masterpiece, Guernica, and you can find it (as well as plenty others like it) at the La Reina Sofia modern art museum. Entry is free on Sunday mornings! Just across the road from the museum you’ll find the beautiful Retiro Park where you can row on the lake, enjoy some refreshments in the café or just soak up the sun before your flight home. If you have time for a meal, Alkalde or El Paraguas on Calle Jorge Juan are considered to be amongst Madrid’s best restaurants. It’s almost time to bid the city farewell now, so be sure to leave a lasting impression and enjoy truly stunning views of the city from Madrid’s cable car.